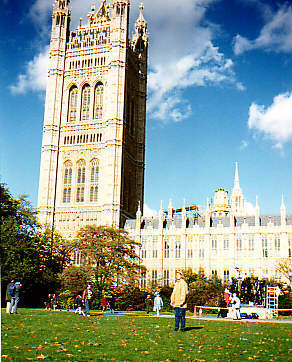 Westminster is one of the best known areas of London. 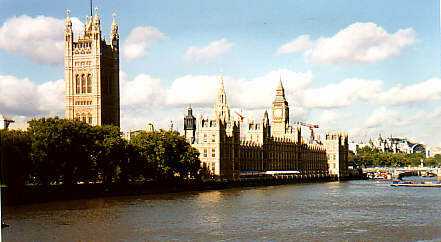 The Houses of Parliament are often seen on television, and not only because of all the details in architecture. 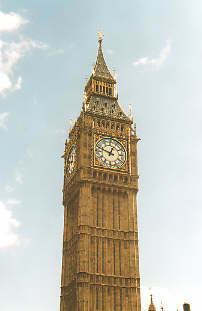 The chiming of the Big Ben is famous, lots of clocks (not those digital ones, though) have the same tune. The face is a lot bigger than it seems. This year it was cleaned by some men who crawled over it like small spiders. The guardsmen stand very still on their horses. That does not seem a very hard task, but next to us are standing a lot more people. It must take a lot of training to make sure the horses don't get nervous by those crowds. 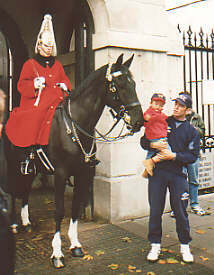 And the men on the horses, of course they have to be trained too. 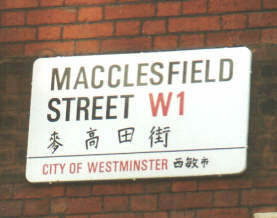 China Town is part of Westminster as well. 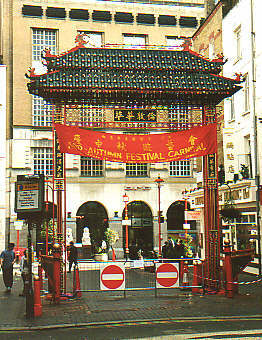 The Chinese have made this part of London their very own. There are lots of Chinese restaurants and shops, and most of the people you see here are Asian. Even the signs with the street names are bilingual.